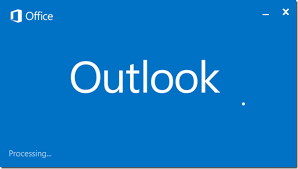 Please note that this is only one possible reason why Outlook 2016 isn’t starting. It could also be a result of a faulty Add-In, corrupted user profile or Office 2016 needs repairing. You may also find that you need to check your system files for corruption. That seemed to fix it for me, thanks! Thank you so much for your suggestion. Worked a treat, and very easy to follow as well. So much better than the confusing and unhelpful advice from Windows. Well done!! doesn’t let process after second step, windows cannot find; outlook.exe/safe Now what? Thank you so much!! I sifted through all of these complicated articles thinking I would be spending the next 2 hours trying to figure out how to get Outlook started again – this took 30 seconds and worked like a charm! Thanks for this helpful advice! Awesome mate – thank you for this.